Chrissy Teigen is giving fans a glimpse into her daughter's first week of school. The 32-year-old model and "Lip Sync Battle" co-host shared a cute photo and video Wednesday during 2-year-old Luna's first week of preschool. Teigen posted a picture on Instagram of Luna wearing a floral dress, denim jacket, sandals and a backpack. The snapshot shows the toddler looking at a family photo album. 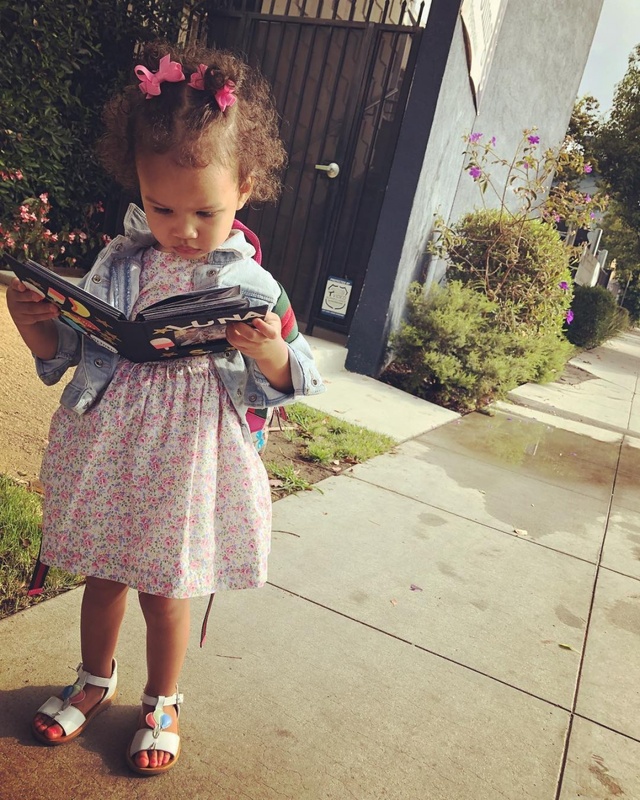 "first week of school," Teigen captioned the post. "they had us make a little family photo album she can look at when she's sad or upset. she loves it. my heart ksosksodododosksidojsjskodmskzh." The Sports Illustrated model also shared a video of Luna recounting her day at school. "What did you do today?" Teigen asks her daughter. "Who did you push?" Teigen asks. "I pushed a boy!" the toddler responds. Teigen is parent to Luna and 3-month-old son Miles with her husband, singer John Legend. She shared a video and a body-positive message in July during her family vacation in Bali, Indonesia. "I guess these just aren't going to go away," the star said of her stretch marks. "This is my body."